View a PDF version of the guide by clicking here. Did you know anything about autism before starting this book? Have you ever had a moment when you had “empty folders” in your brain? How did you react? What would you have done if a camp director had called your child a “monster” at age 5? Have you ever known a child, or adult, with a “special interest” that went beyond that of a typical hobby or pastime? What did you feel as Derek described their experiences going from doctor to doctor? Describe how you think you and your family would react to being on the “Diagnosis of the Month Club” as Derek calls it? Which of the doctors or “specialists” you read about made you the most frustrated? Why? There is a lot of talk about “over diagnosis” of Autism. Do you think professionals are better at diagnosing Autism today than when Dylan was young? Is it too quickly diagnosed? Describe how shocked were you by the number of medications Dylan has been on with so few positive results? Based on what you read, how do you think the medications helped or hurt Dylan? What do you think of Derek’s analogy about “mourning” for the son he thought he would have? Were you surprised when Derek wrote that he did not want another boy? Describe how you think you or your spouse would feel in that same situation? Derek’s frustration with the school system was obvious in this chapter. How do you think schools have changed since Dylan was in Middle School (2004)? How do you think your local school system is handling children with disabilities? How did you feel as Derek described leaving Dylan at Spring Harbor that night? How do you think you would have reacted if your child talked about having no hope that his life would get better? Do you think Boarding School was the right decision for Derek and Amy to make at the time? What options would you have considered? What would you have done when it appeared Dylan was going to get expelled from the school in NH? How would you have handled Dylan’s friends stealing from your home? Would you be stressed out if your child was bringing home hitchhikers and runaways? Dylan started running into legal trouble during this chapter. Do you think law enforcement officials need more training about Autism spectrum disorder? If you could provide law enforcement officials with only one bit of information about autism spectrum disorder, what would it be? Derek talks very emotionally about Dylan’s high school graduation. Who do you know that may have a similar emotional feeling during their child’s graduation? Have you ever thought about what that must feel like for the parent of a child with a disability? After the positive feelings you may have felt about Dylan during his graduation, how did you feel about him after he stole Amy’s credit card? People often confuse autism with mental illness (ie. Schizophrenia, Bi-Polar, etc.) but they are not the same. Autism is a neurological disorder not a disease or an illness. Do you know anyone with a child that has a mental illness? How did Derek’s story about Dylan possibly having mental illness make you feel? Derek writes about people suggesting he should “just give Dylan a job.” How do you feel about his reluctance to do that? Do you think the Government should play a bigger role in aiding people with Autism through job training and healthcare? Why or why not? Many states have passed ABLE laws to help families on the spectrum save for future needs. Are you familiar with this law? What do you think of it? What do you think of Derek’s “battle strategies” analogy? Can you relate to either strategy of “Sacrificing for the greater mission” or “Leave no man behind” when it comes to raising a child like Dylan? What do you think Derek and Amy could have done differently to avoid Dylan spiraling down so badly? What would you do if one of your children pepper sprayed another one of your children? Derek writes about the impact Dylan has had on his other children. How do you think your children would adjust to having a sibling with a disability? Why do you think Dylan’s cats mean so much to him? The unemployment rate for people with Autism is close to 80%. Do you know anyone with a disability that is having a hard time getting and keeping a job? What do you think could be done to help Dylan succeed in the workplace? Did Gettit Vending seem like a good try or a terrible idea when you started reading about it? After reading so many chapters about Dylan doing poorly, were you relieved and/or surprised to read that he turned his life around and is doing very well? Why? Many people do not finish books they start. What made you continue turning the pages? If you knew about Autism before starting the book, did the book enhance your knowledge? In what ways did it change any preconceived notions? Do you or anyone you know closely have a child with Autism? How does having read the book give you more understanding of the difficulties raising a child with Autism or any type of disability? What do you think of Derek’s honesty in the book? Was he too hard on himself? How did it make you feel to read his inner thoughts about Dylan? What did you think of Dylan’s Takes? How do you think they added to the book? Which Dylan’s Take was most interesting to you? Why? 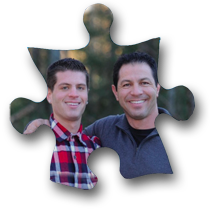 Do you know a father raising a child with Autism? How would it be helpful for him to read Chasing the Rabbit? How do your strategies raising your children differ from how you might raise a child like Dylan? What are your impressions about the marriage of Derek and Amy? How do you think your marriage would fare if faced with raising Dylan? How do you think your greater family (parents, siblings, etc.) would have responded if Dylan were in your family? Would they have been helpful and understanding or pulled away? For Derek and Amy, their faith has been a source of great support. Do you think your faith would be strengthened or weakened under the same circumstances as you read in Chasing the Rabbit? Discuss how your feelings for/against or about Derek, Amy and Dylan change throughout the book. How will reading this book change your initial reactions when you see a little boy or girl out of control in a supermarket or restaurant? Will you be more empathetic to the parents? Would you read a sequel to Chasing the Rabbit? Why or why not? If yes, please contact us. Thank you for your interest in our story. If you would like Derek to be a part of your Book Group Discussion please contact him at dsvolk@volkboxes.com or through the Chasing the Rabbit Facebook page at www.facebook.com/chasingtherabbitbook. If you have discussion questions that would be beneficial to other readers please send them to us for future publication. If you enjoyed Chasing the Rabbit we would appreciate your feedback via a review on Amazon. Word of mouth is our best advertising so please tell your friends about it through social media and in person.